The average e-commerce checkout time is five minutes and eight seconds — and you should do everything you can to clock in below that (less than five minutes is good, as fast as possible is a good rule of thumb). Lowering the time it takes for customers to check out gives your customers less time to rethink their purchasing decisions while they’re checking out, and gives them fewer reasons to walk away. One way to shorten the checkout time is to streamline the data collection and personalization process. This is likely to increase conversion rates across all types of shoppers and can be easily done using our product options feature. Setting Product Options means your customers won’t need to contact you for additional info — they can see the most important details right away. 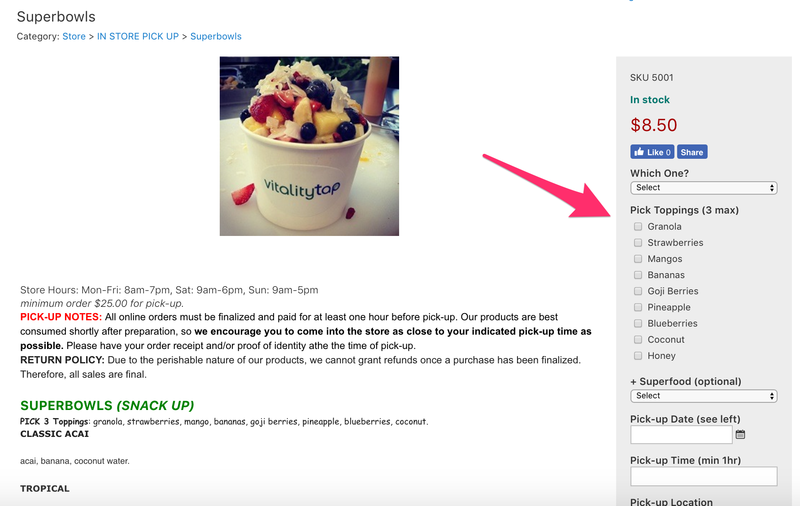 For their SuperBowls product, VitalityTap lets you put all of the information in before you add the item to your cart. Once you add it to the cart, you’re one click away from checkout — the whole process only takes 2-3 minutes. 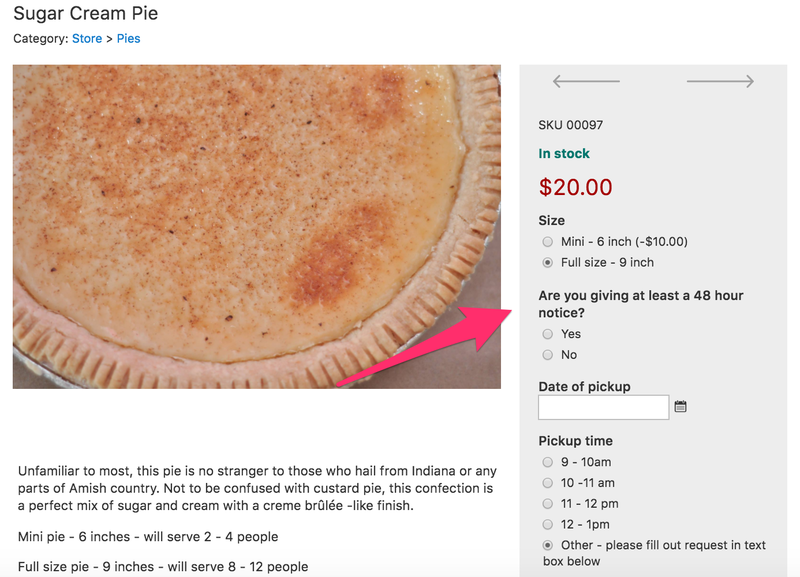 Columbus bakery BakeMeHappy uses the product options feature similarly, letting shoppers specify everything they need to create a pick-up order (and confirm their awareness of the pick-up order turnaround times). 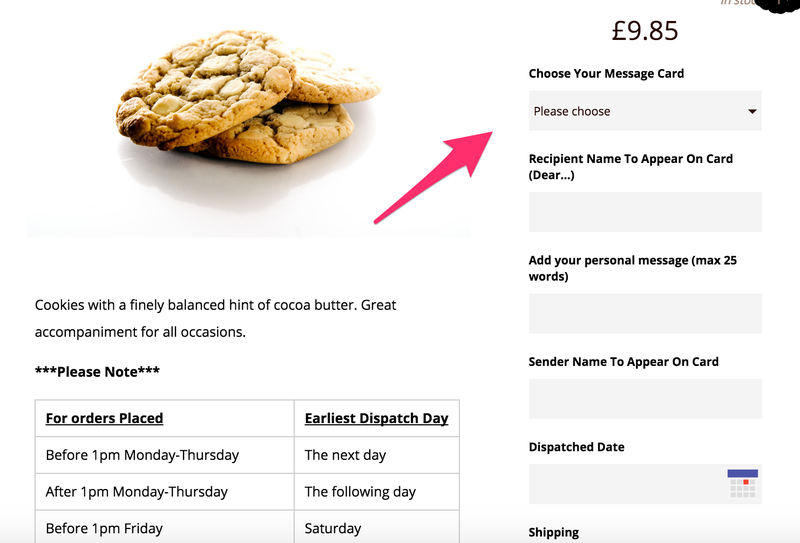 Decadence Delivered, a cookie shop in the UK, makes use of product options to add personal messages and gift cards to cookies ordered as a gift. This lets them offer a special touch to gift orders, without having to do email back-and-forth or phone calls with their customers. Cloud9Design lets shoppers customize both the ribbon and whether or not they want a gift box, saving the customer from having to put in these options at checkout. 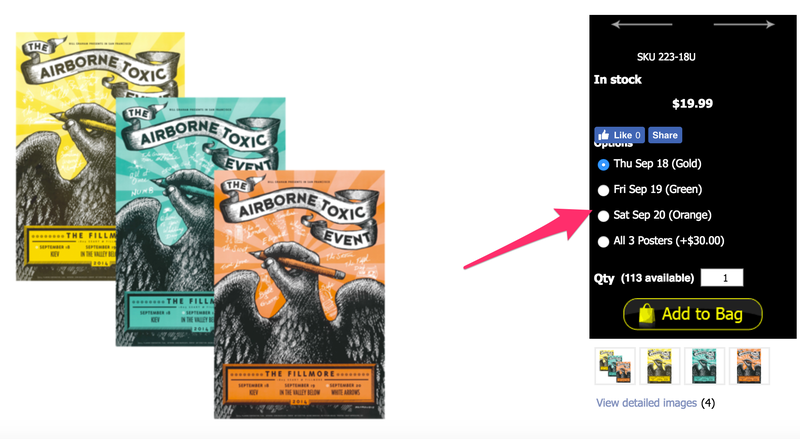 The Airborne Toxic Event uses product options to let people pick between three different variants of the same poster — or buy all three with one click (an easy way to up-sell!). Sand and Stone Jewelry uses product options to not only let customers add specifics of their selection but also to upload custom files to be used in the product creation process. 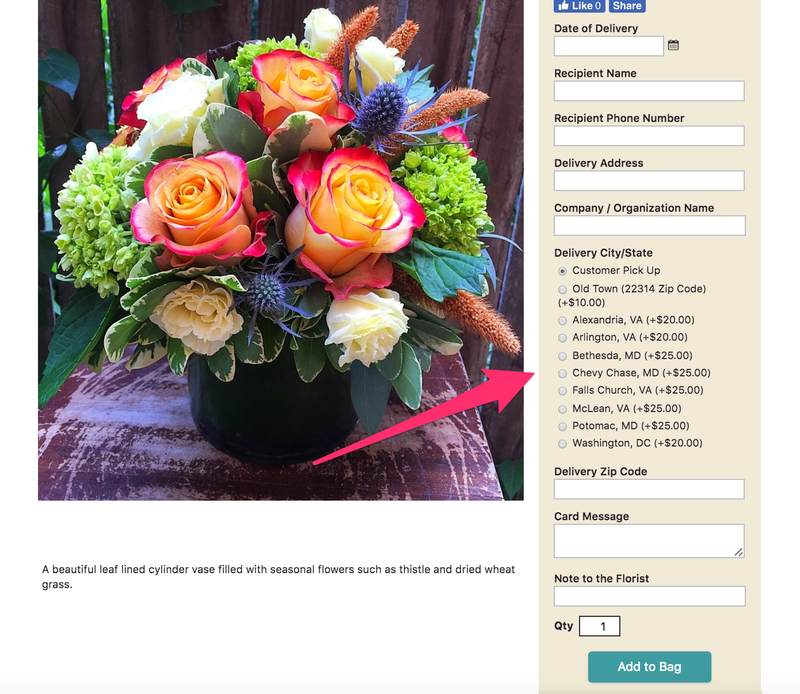 Helen Olivia Flowers makes ample use of product options to specify delivery city and state (and associated fees), along with card messages or extra notes to the florist about the order. 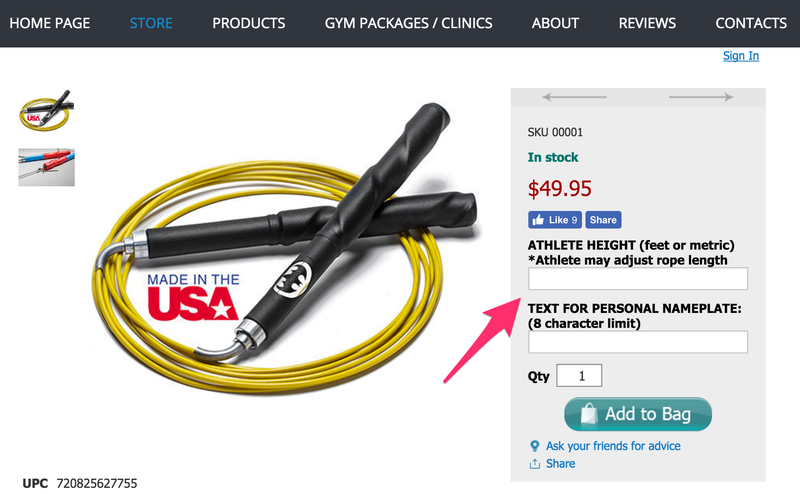 Cyclone Speed Rope lets you customize the length of the jump rope as well as add a personal nameplate, making their product more usable and customized than their competitors. 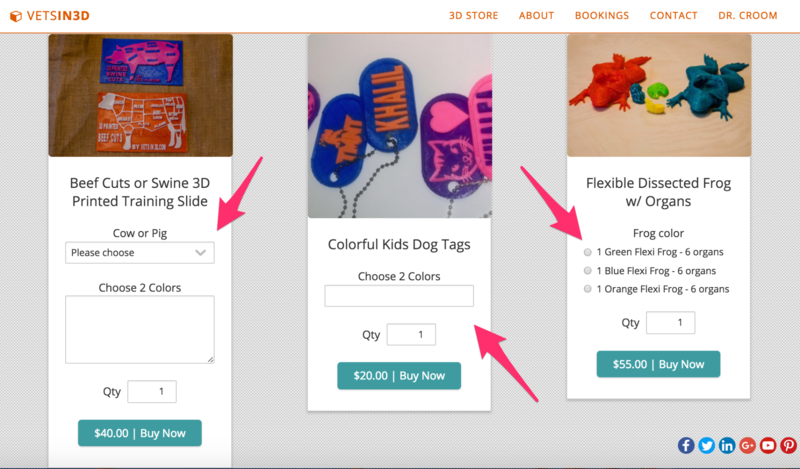 Vets in 3D offers customizations on their 3D printed items. Better yet, their most popular items are listed on their homepage — so a new buyer could potentially land on the homepage, see exactly what they wanted, and move on to checkout without having to browse through the entire shop. This example shows that Product Options are also available in the Ecwid Buy Button. As you can see, product options are especially useful for local businesses making pick-up orders, or places that customize the product. Other businesses can use them as well, though — think different colors, sizes, or variants of a product. They’re also great for setting customers boundaries and keeping customers from thinking they can order additional features without having to pay extra. 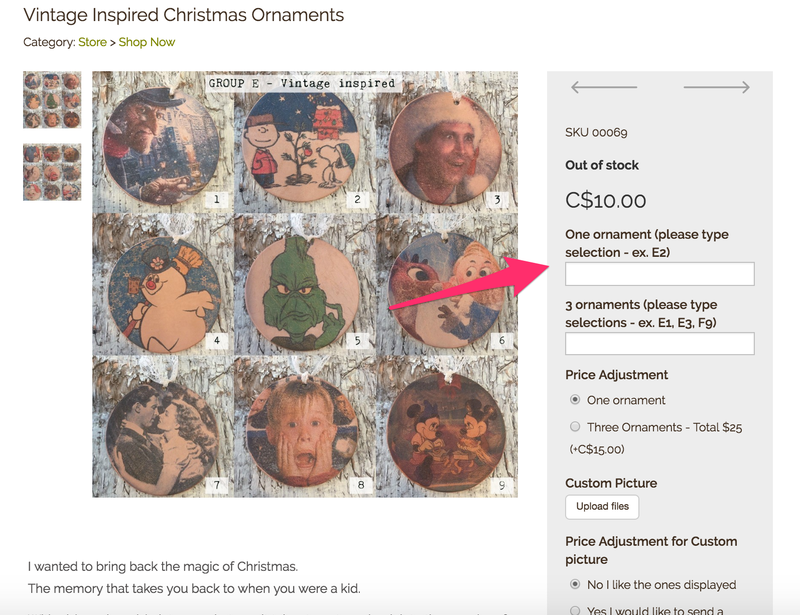 This way, there’s no back-and-forth where a customer orders something, then sends an email wanting you to add extra features to their order, you have to explain you charge for that, then they have to pay a second time or cancel the order…and so on. Product options let you cut that out of the process entirely. For more information, head to this support page. Using a popular payment option like PayPal can reduce checkout time greatly — especially if the person doesn’t happen to have their credit card right there. It makes it easier for customers to order in the moment without getting distracted, as well as on the go from their mobile phones. Head here to find out how to set PayPal (or other popular payment processors) up with your Ecwid store. Go through the payment process as a customer and ask yourself if each thing the customer has to do is necessary. Do they really need to add in their phone number? Is there anything you can do to reduce the number of screens involved in the checkout process? 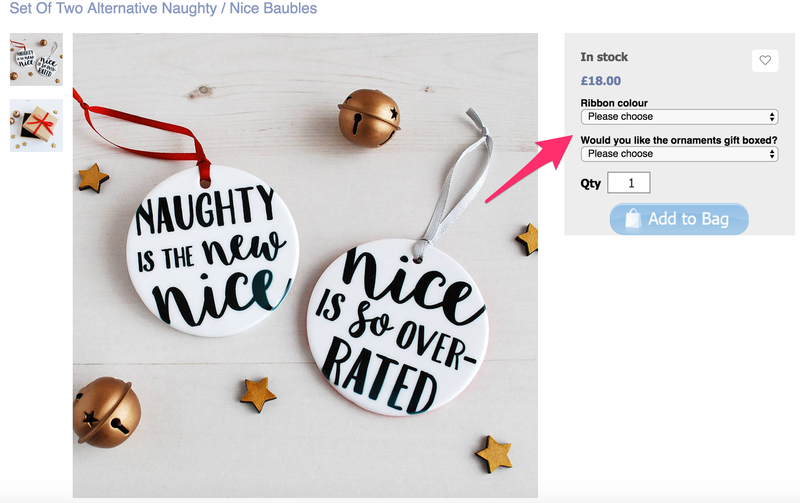 Make sure to split test things like the button text (here are some other ideas for split-testing your checkout). Let users set up an account during the checkout process, as long as you configure it to be done with as little fuss as possible. If users can set up an account and save their information for future purchases, they’re more likely to come back and more likely to finish the checkout process when they do.